Ten Tips for Stretching the Family Budget! Hey everybody! I am so SO excited to finally be able to share some really awesome news with you today! About a month ago Sarah and I were contacted by the team at Pick Up the Values (remember when we introduced them in this post?) with a really awesome partnership opportunity. Pick Up the Values is a high value coupon website for all your favorite brands, and they are completely dedicated to helping families meet their budget needs. 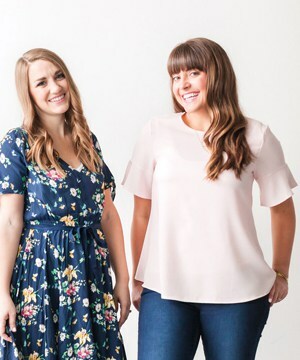 They asked us come up with our top ten tips for stretching our families budgets, and do a series of posts with them throughout September and October all focused on helping YOU stretch the almighty dollar. We have some great content planned for you, and we hope you guys will be as excited about us getting back to our penny pinching roots as we are! We will have everything from freezer meals, to giveaways to budget motivation to frugal gift ideas and of course high priced coupons! 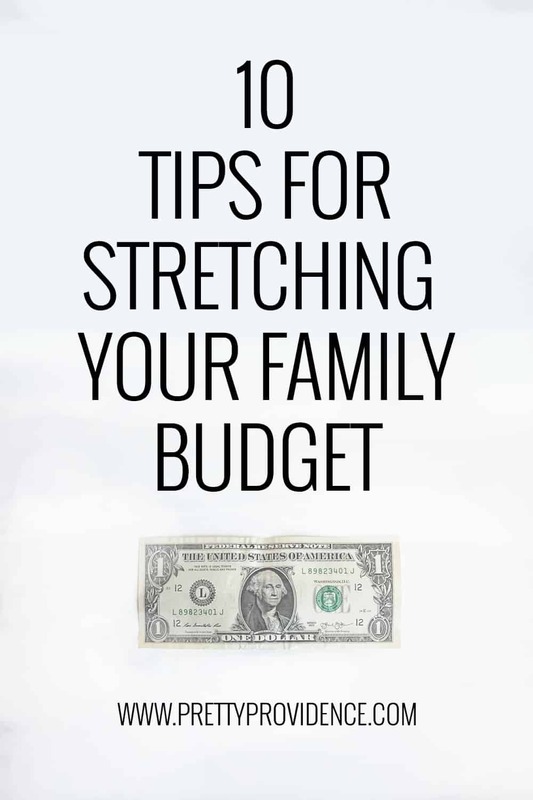 To kick things off today, it seemed appropriate that we shared our top ten tips for stretching the family budget with all of YOU our loyal readers, with a little bit of added detail for good measure! 1) Stock up on essential items like toilet paper and diapers so they don’t break you at the end of the month! I always try to be at least two boxes ahead in diapers, 20 rolls out in toilet paper, 4 shampoos and conditioners etc. When we have a little extra in our grocery budget, or we get a bonus, or we come into a little extra money we will stock up on these items because they are the mandatory things we can’t go without. Before we did this it seemed like everything would run out at the exact same time when our budget was almost out, and that can really hurt you at the end of the month! 2) Gas prices on average are cheaper earlier in the week rather than later in the week. It’s also best to get gas in the morning and before your tank is completely empty, because you lose less gas through evaporation! Also, whenever possible I get gas at Costco, because that is easily my cheapest option. If you don’t have a Costco membership, shop around until you find which station has the best prices and try to fill up when you are in the area. A few cents a gallon on a big tank can make a big difference over time! 3) Make sure the seals around your doors and windows are tight to be sure you’re not losing air or heat. When seals do need to be replaced, it is a cheap and easy DIY (I will have an easy tutorial up on the blog soon). Our old house leaked out heat/air like crazy. Our bills were high and the temperature was never really controlled like we wanted it to be. Finally we replaced the seals (just on our doors) and you wouldn’t believe the difference it made in both our bill and ease of temperature maintenance! Less bugs, too. Haha. 4) Freeze meals and other perishable food items that you can use when the food budget gets low. This kinda ties in with number 1, but on the food side. It is inevitable to have months where unexpected expenses come up, or you just plain overspend.. but you still have to eat food to live. I always try to have 10-20 meal options in my freezer for months like this so that we don’t have to eat Grape Nuts (my choice) and Malt O Meal (hubs choice) for 8 days in a row. Not only is this great for when money is low, but it also saves money on eating out, because it makes it easy for me to still make dinner on nights that I am tired/too busy/sick etc. For this reason I try to have extra on hand when I’m pregnant.. haha! If you missed my first two popular freezer meal posts you can find them here and here. 5) Limit eating out. Pack lunches for work/school. Better for your health and your pocket book! When Bryce and I first graduated from college we got full time jobs and were shocked to see that pretty much everyone ate out for lunch every day. At first, you can feel a little stupid packing a lunch if no one else does, but it honestly didn’t take very long before all our colleagues were bringing lunches to work! Now, I try to make sure we will have enough leftovers for Bryce to pack for lunch the next day, and we keep sandwich stuff and fruit on hand for the off days. 6) Research free entertainment. Find the things you enjoy doing that don’t cost money (read a book, go on a hike, have a game night at home). Sarah and I have both gotten pretty good at this with our respective husbands/families. Picnics at parks are favorites of ours with the kiddos, and sometimes Bryce and I will watch Netflix and pick up take out to save on a babysitter and a movie. We believe it is important to spend quality time together, but it doesn’t really matter what you are doing. For some really fun and creative ideas, check out Sarah’s post with 70+ cheap or free date ideas. 7) Type up your long term goals and dreams so that you can refer to them in moments of weakness or difficulty. We all have moments where we’re like, “forget it. I don’t care about saving money I just want Cafe Rio!” or “new jeans!” or whatever is your flavor of the moment. Don’t let these moments beat you. Every quarter Bryce and I go over our budget, and at the same time we review our goals and dreams and then we print them out, sign them, and tape them to the wall in our office, side by side. We have BIG goals. BIG dreams. Looking at them on paper and thinking about them happening kind of makes me giddy inside. Then all the sudden I couldn’t care less about those jeans. 8) Plan ahead. Make grocery lists and meal plans to limit impulse buys and ensure you have meal options on hand. Never go to stores of any type to browse when the budget is tight! Some months, by the fourth week I can no longer leave my house unsupervised. You could have plenty of money to make it a week, but one reckless trip to Walmart and suddenly you are underwater. If the budget is tight, don’t put yourself in temptations path. 9) Quickly check your favorite coupon sites (like Pick Up The Values) before heading to the store to take advantage of deals for things that are already on your list, or free items. I am not a major couponer by any means, but I am definitely an easy, surface level couponer, and it saves me tons of money! If you spend five minutes on coupon sites before you leave the store checking for things you are already buying, you can save major cash. Also, I tend to stock up on items (see #1) when there are good coupons, obviously. 10) Continue to track your expenses even if you have already exceeded your budget to minimize overspending (aka: don’t let yourself go)! This one has been critical for us. Early in our budgeting days, if we went over our budget with four days left in the month and since we had already “failed” we just stopped keeping track. It turns out those four days can be DRASTIC when it comes to your savings, especially if you have the “whatever, were already over” mentality that I did. Now, if we go over on August’s budget (like just happened.. haha) not only do I keep recording my expenses but I roll them over and subtract them from Septembers budget. Believe me, it definitely cuts down on my overspending when I know I’m not going to get a free pass. 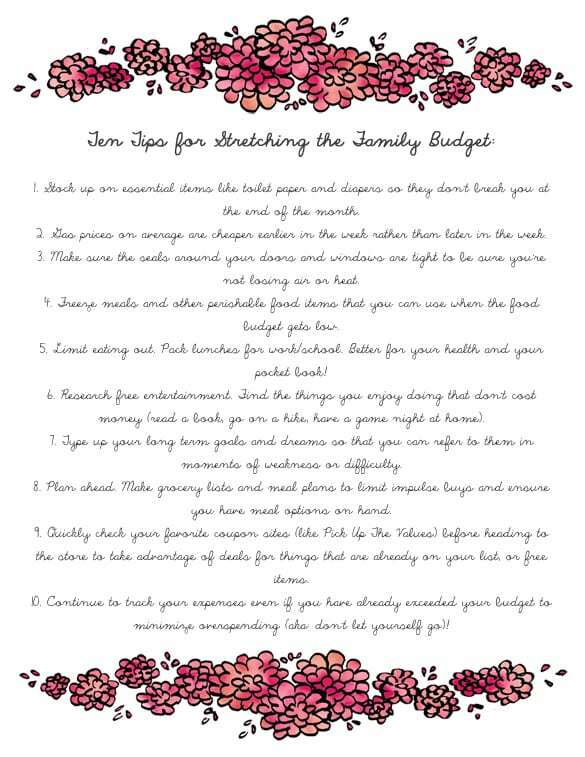 Well, I hope that these tips helped some of you to think of some creative ways to make that budget stretch! Budgeting can be so hard and sometimes it doesn’t seem worth it, but each month as you see that savings build up a little at time you won’t believe how much stress will ebb away. P.S. What are YOUR tips for keeping to your budget when things get tight? I always love hearing from you! This is wonderful! Thanks so much for this information. This is awesome Jess! Good advice for anyone! Great tips for stretching the dollar… I think planning ahead is seriously one of the biggest ones! So simple but so important right?! Thanks for sharing!